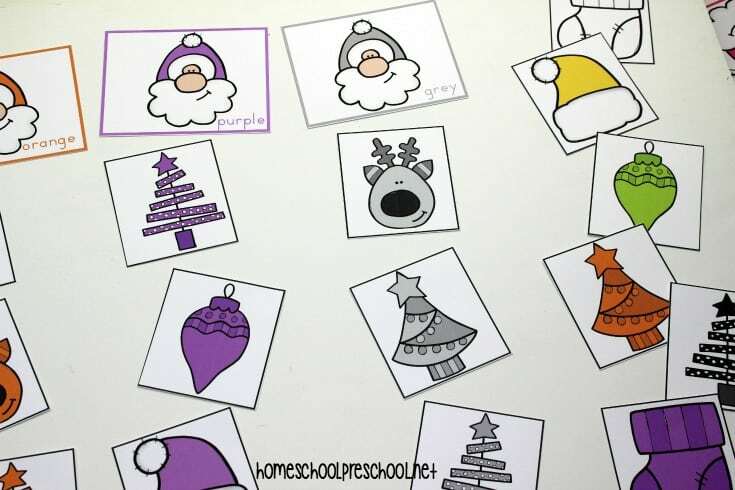 Inspire your preschoolers to practice color recognition with this Christmas color sorting printable! They’ll sort Christmas items by color – eleven of them. 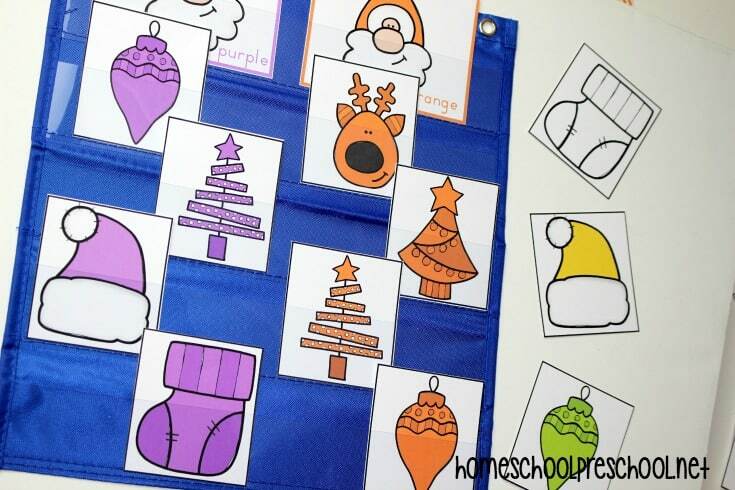 These preschool printables can be used in a group setting or as an individual learning activity. Choose which version of play fits your classroom or homeschool needs. Just print and cut. And, you’re all ready to go! 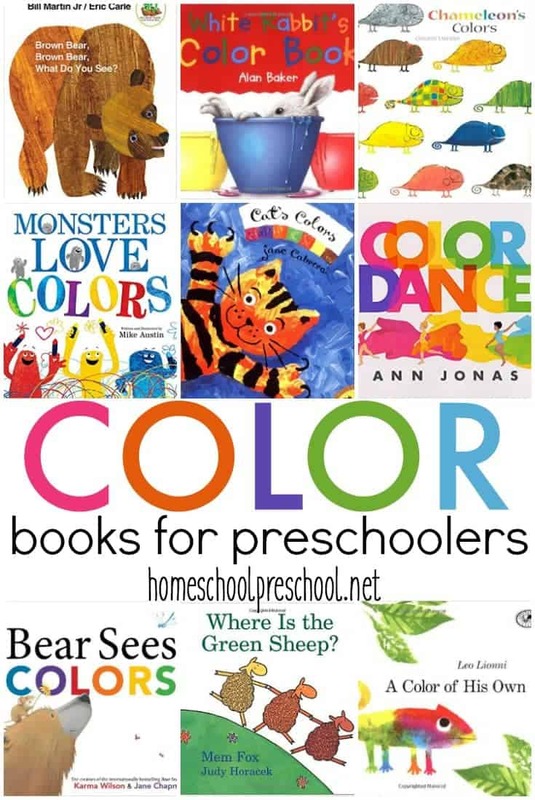 This pack of color sorting cards focuses on eleven colors – red, orange, yellow, green, blue, purple, black, brown, grey, pink, and white. In addition to header cards, there are seven sets of color sorting cards. You can use these in a group setting by using a pocket chart. Put the header cards on the top row. 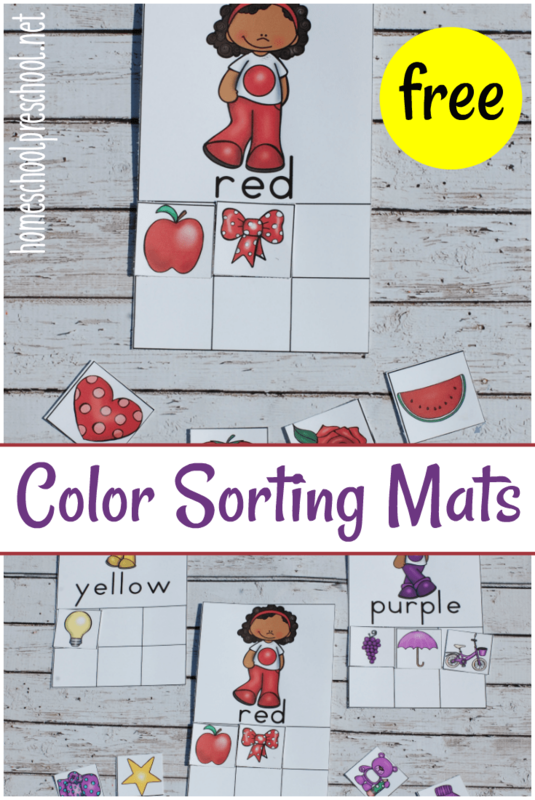 Pass around the color sorting cards, and have your little ones take turns putting their cards in the correct column. For individual play, spread the header cards out on a table or on the floor. Have your child sort the cards into stacks or columns to match the headers. 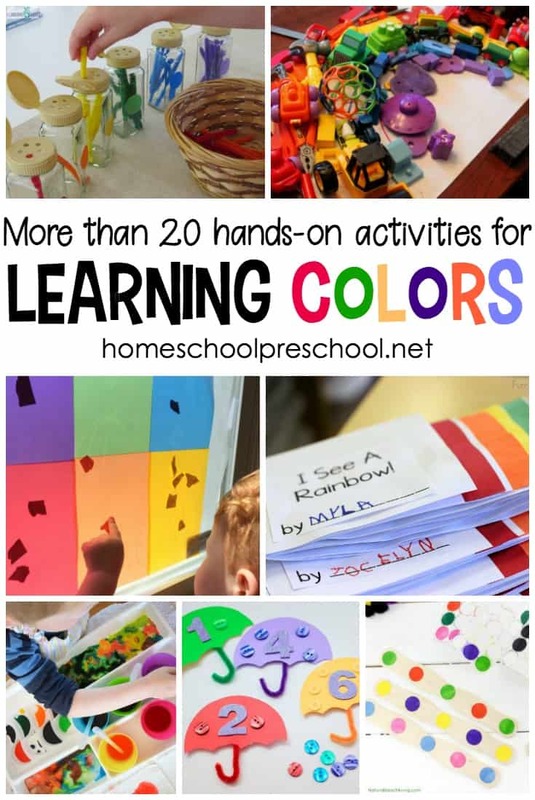 Younger children may need to work with only two or three colors at a time. As they become proficient with those, you can introduce another until they can work with them all. Older children should be able to work with all of the colors at once. To extend the learning, you could talk about the beginning sounds of each image – o for ornament, r for reindeer, etc. You could also have kids look for items around the house that go with each header card. Can they find a household item for each color featured? 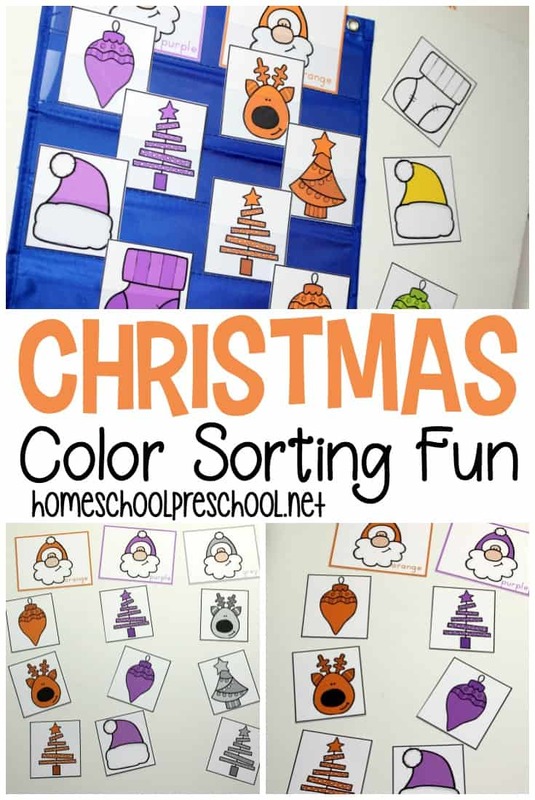 This Christmas color sorting printable is only available to my readers. Click the button below, enter your information, and you’ll be taken directly to the download file.